Tablets are one of the hottest products on the market. Which tablet is right for you? When you consider all of the features they offer, you can understand why so many people are using them to not only supplement their laptops but also to replace them entirely. Indeed, the trusty tablet is predicted to outsell laptops by 2016, and some say the laptop is already well on its way out. 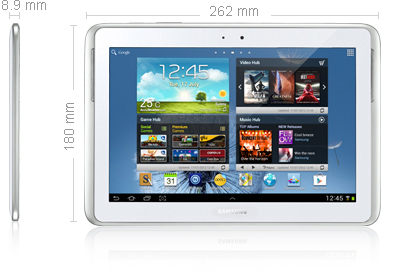 Each of the four categories of tablet size has its own benefits and drawbacks. The two best options for tablets are the 7-inch and 10-inch sizes. There are some Android based minis that are mainly manufactured by relatively unknown Chinese firms. Low-cost, entry level tablets like these may be suitable for kids or computing beginners, however, they are not recommended in general because their limited functionality means you are likely to outgrow them rather quickly. A 7-inch tablet, like the above-pictured Asus Fonepad Intel-powered Android tablet, is much easier to hold in one hand as compared to its bigger counterparts. Due to its light weight, these tablets are a favorite with people on the go, especially women, since these smaller tablets can easily fit in a purse. When it comes to power, the 7-inch tablet typically beats out the larger tablets in size-to-function ratio, but the reality is: the smaller the tablet, the smaller the battery. So, although you may have more efficient use of the battery, the battery itself if inherently limited due to its smaller size. Only a few 7-inch tablets are able to display full HD (1080p – 1920 x 1080) resolution. However, some great options include the iPad Mini with 7.9-inch screen, capable of 1024 x 768 at 163 pixels per inch resolution, while a Nexus 7 tablet has a 1280 x 800 resolution at 216 pixels per inch. Larger tablets, like the 10.1-inch Samsung ATIV Tab (pictured above), are designed to be more stationary. They are too big to fit in a purse, and weighing in at approximately 1.5 pounds, too heavy to use as a one-handed eReader. Despite typically shorter battery lives than the smaller 7-inchers, this class of tablets usually has the fastest processors available, lots of storage, cellular options, and highest resolution screens. The Nexus 10 has a very high resolution (2560 x 1600) at 300 pixels per inch, exceeding even the iPad 4th Generation’s 2048 x 1536 at 264 pixels per inch resolution. When all is said and done, the perfect tablet for you depends on what you intend to use it for; choose the screen size based on your specific needs. For example, if you are looking for a laptop supplement, a smaller tablet will probably be the best choice. However, if you intend to taper off your laptop use entirely, the larger tablets will allow you more flexibility and functionality. What are some other things you factor into your tablet selection? Do you have any clear favorites out of the available options on the market today? On the other end of the spectrum, tablets greater than 10-inches are still relatively scarce and suitable for only a narrow range of applications. For the most part, one mainly finds these at trade shows and other industry conventions. The bottom line is that once a tablet is too large, it becomes too difficult to transport and you may as well stick with a laptop. The release of Windows 8, the separation between laptops and tablets are beginning to blur. Many of the latest offerings are Detachables, Touch-Screen Laptops, Tabletop Computers, and Convertibles. Detachables - These units are basically tablets with removable keyboards, like the Microsoft Surface Tablet or Asus Transformer Family. They are best for people who want a tablet. This type of tablet/laptop hybrid makes it easier to carry the tablet around. The performance may be slower than other types of hybrid laptops and tablets. Must be able to use it without a keyboard to benefit from its detachablity. Touch-Screen Laptops - are best for laptop users. The name speaks for itself. These are laptop computers with touch-screens. Prices range dramatically, there are less expensive touch screen laptops and there are expensive ones. All the drawbacks of a laptop including start-up time, security software, updating, etc. Tabletop Computers - are best used for home use. Like the touch-screen laptops, these are PCs with touch screens. However, these are typically fully loaded all-in-one computers. Examples include HP TouchSmart computers. Convertibles - are laptops that can fold into a tablet. These are the laptops that can push, twist, and turn the touch-screen monitor into multiple positions. Examples include Dell XPS Convertable Touch Ultrabook, Lenovo Yogapad, etc. Which tablets have you bought in the past? Which tablet are you planning on buying? 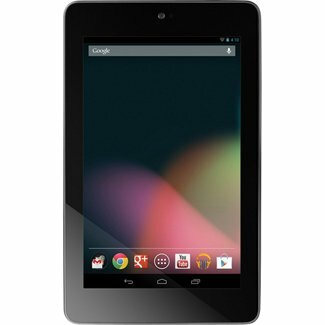 Check out our tablet section to find brand name cheap tablets.